In this section you can find tattoos for your sims. 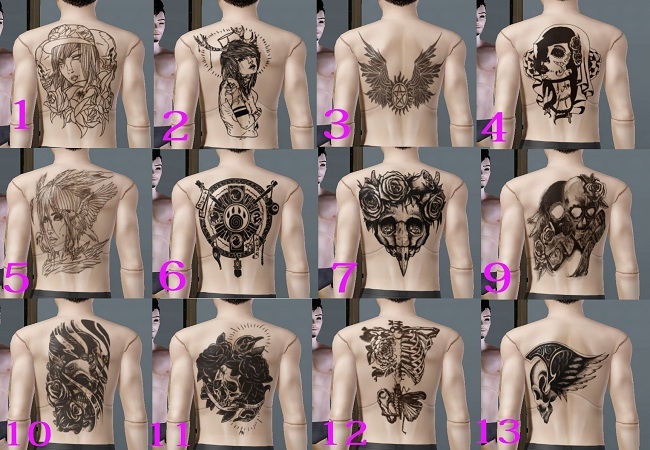 Description: A set of 49 recolourable back tattoos for your sims. 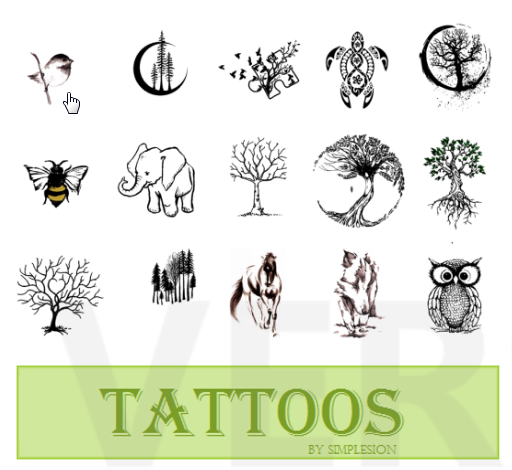 Description: A set of 15 nature themed tattoos. Recolorable.